I was born with a pencil in my hand. Most artists reach a certain age, and then their eyes open and they start doing art. I was drawing as far back as I can remember. I had unusual talent right then and there, in that I saw things differently. I saw them more accurately. Some people to this day criticize me by saying I exaggerate; that people don’t look like that. But they look like that to me. The truth is from the very beginning, instinctively, I drew what I thought I saw. I try to give people what I think should be. I’ve had many, many people look at one of my paintings, and say “Yeah! That’s the way it should be!” Basically, that’s my whole approach. The makeup of great art consists of many, many things… including a certain amount of luck, a certain amount of inspiration, and a very mysterious factor that I simply cannot account for. Imagination. And you’ve got to be intelligent in your approach. There are an awful lot of skillful artists who can render, who can draw, and who rely on source material instead of finding the picture in themselves. And that attitude—that you’ve got to find the picture in source material—is strictly one of fear. Fear of criticism, fear of I don’t know what. I don’t worry if it’s less than perfect as a piece of rendering. I want it to be perfect as a work of art. A lot of artists can’t express themselves the way they would like to. They just don’t have the ability. They have certain instincts, they have things they feel, and then they sit down at the drawing board, and it just simply doesn’t happen. But if I can see it, even vaguely, I sit down and it appears. I don’t know why, exactly; that’s the mysterious part, which is easy to say but covers more ground than you might at first think. But the key to me is I know when it doesn’t work. Most others reach a certain point in a piece of art, and they say “I guess that’s as good as I can get,” and I look at a piece of art and I say “No, no, no, it’s got to be better; it doesn’t work.” And sometimes it’s very involved as to why it doesn’t work—the composition can be wrong, or the shape isn’t interesting enough, or the action isn’t interesting enough, or the lighting is flat… it can be many different facets. There is one thing—the figure. If the figure doesn’t relate, then change it! I’ve painted perfectly beautiful figures, and then take them out, to the dismay of my friends. And I know it’s a good figure, and if I can put it in somewhere else, fine, but it didn’t work in that particular situation. And then I’ll put in a figure that’s perhaps less exciting, or less beautiful, but it lends something to the painting; it doesn’t become a distraction. It’s the composition—shape; movement. Color is secondary. It’s these wonderful shapes; it’s like music. It’s the combinations. You can’t just have a theme, and then the rest of it goes flat. Somehow, the whole thing has to work. It’s not enough, for me, to say “Yeah, it’s got some nice things.” I don’t want to hear that… “some nice things.” I want every inch of that painting to be unboring, if there is such a word. “Unboring.” And even if people don’t understand what makes it work, it seems to be our nature to respond to certain rhythms and shapes. I don’t know why it is. Not color. I don’t think we care that much about color. People think they do, but I don’t think it’s color more than shapes. That’s the way I think. Warm? Or cold. Or maybe neutral. I sit there, and I think “Let’s see, now. This composition has a lot of power. Cold would make it perhaps more mysterious. Hot would make it more vibrant.” That’s the way I think about color. I decide whether hot is going to somehow work with this design, or cool would be better. And that’s it. Many artists know color as well as or better than I do. But that’s not Frank Frazetta. Frank Frazetta draws. And composes. I can create, instead of just doing a pretty picture that’s essentially like a lot of other pretty pictures by any one of a hundred artists. Color is really irrelevant to my work. Any painting I’ve done could have been approached in any number of ways in terms of color, and still work. I don’t know any of my paintings that really work because of the color. If I left the color out, it would be just as powerful. Whereas other artists—illustrators of the past; great illustrators—their color had to work, or else. 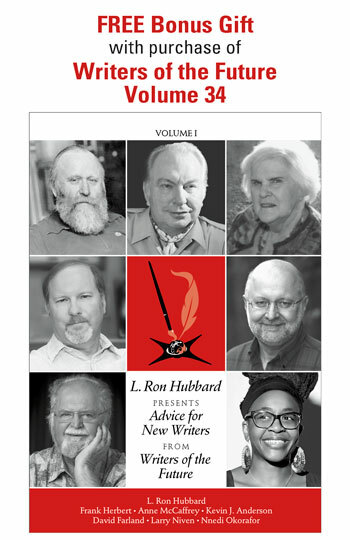 You know, in an essay that ran in Volume Two of this series, L. Ron Hubbard said “What is good art?… Technical expertise itself adequate to produce an emotional impact.” And if you realize that this washes out a vast amount of what’s called “art,” but isn’t art, and if you realize this places a tremendous obligation on the artist, that’s right. We all have our limitations… but every once in a while, guys like me reach out and go far beyond what we accepted up until then as great and wonderful. Like the four-minute mile. “Can’t be done, can’t be done,” we said for years. Then somebody does it, and suddenly everybody feels they can do it. As far as this particular WOTF cover goes, it’s a wonderful composition. There’s a drive, there’s a power, there’s movement from left to right, and then it comes back, it’s just all moving, and it doesn’t just run off the picture. That’s what makes a good painting, I think. And the story; they’re coming over the horizon, and the army of robots are led by this wonderful heroic figure, and the spaceships and the city—you know there’s a war going on. And that’s it; that’s the story. Her attitude, her beauty, has got to convince you that she just isn’t going to lose. The attitude of the figures, whether it’s crouching, leaping, running—that tells you they’re moving at great speed and with great confidence. I don’t think there’s any question but that this is victory, and heroism. And that’s the action. I’m a slave to my love of action. That isn’t necessarily the only approach. But I’m just an action guy, I guess. I love movement, speed, and power. I was always, even while young, frustrated with most art. Frustrated. I’d say “It’s wonderful, but it doesn’t go far enough. Why didn’t they do this, why didn’t they go further, why didn’t they do that?” I’m talking about action… about character. They seemed so laid back, so relaxed, and yet so careful. They’d never look toward the next horizon. They didn’t know there was one, actually. If all the young artist wants to do is live a comfortable life, and support himself, then you ought to do what the editor tells you to do. If you can do it skillfully and professionally, then you’ll do just fine, I guess. If you’re looking for greatness, on the other hand, then you’ve got to have guts, and nerve, and strength of will, and buck the establishment! And that isn’t easy. I can say it, but that’s just because I have the God-given talent—not just nerve, or guts—I just have the talent to back me up. 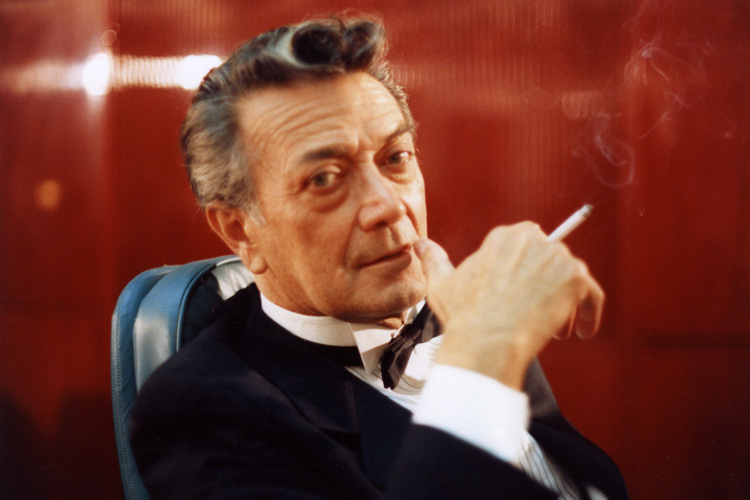 Frank Frazetta was born February 9, 1928, in Brooklyn, New York, and began drawing as soon thereafter as possible. He literally never remembered a time he didn’t draw. At eight, he was enrolled in the Brooklyn Academy of Fine Arts. His instructor, Michael Falanga, called him a genius. He was not the last to do so. Frazetta remembered, with great fondness, how Paul Grubman heavily influenced him and fought to win him recognition in scholastic competitions, as his teacher at Abraham Lincoln High School. At sixteen, he began his extensive career in comics. In 1954, he went to work on the Li’l Abner comic strip and then went on to do Buck Rogers and other work that is still very much remembered. The work he was happiest with was his work for James Warren’s publishing company; Creepy, Eerie, and the creation of the seductive and deadly Vampirella. At about this time, his career expanded dramatically. He was introduced to paperback covers, and after an initial period with Ace Books struck a deal with Lancer which resulted in art that is still prized. And he went on from there to make book after book, from many publishers, a far better seller than the author had any right to expect. The rest is history; there has never been a paperback artist like Frazetta. L. Ron Hubbard called him the “King of Illustration.” And what he had to say in his essay is quintessential Frazetta; no nonsense, no false modesty, and an amazing range of dead-on commentary on the art of illustration. He is my absolute favorite artist. I have been enthralled with his work since childhood. Hi Jesse, Thanks for your note to us on Frazetta. I agree with you. 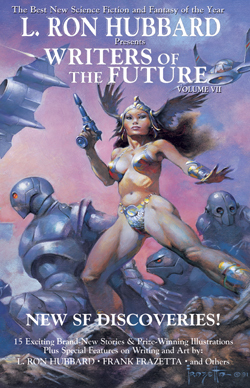 My parents are huge sci-fi and fantasy readers and since Frazetta did a lot of covers, I grew up with his art and agree with you – it’s STUNNING. I was curious, we just got an opportunity made available. A handful of a unique piece called The Lieutenant has been made available and is on a special for a limited time. Are you interested? Here’s the link: https://galaxypress.com/frazetta-lieutenant-lithograph/ If yes, let me know. 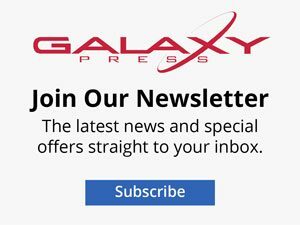 My e-mail is sarahc@galaxypress.com.